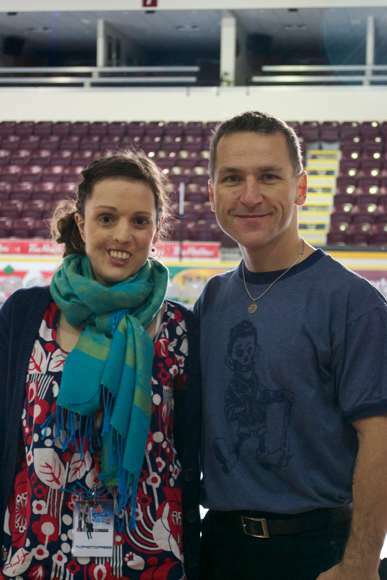 This past Wednesday, Rock the Ice returned to Peterborough for the third time and PtboCanada was able to chat with Elvis Stojko before he hit the ice for warm-up prior to the evening show. It was a pleasure to meet both Elvis and many of the other performers who we have all loved and respected over the years and watched the success of their careers. With the hum of the Zamboni passing over the ice, Elvis and I chatted about a variety of topics. The first question I asked him was how were we lucky enough to have Peterborough be one of the stops for the Rock the Ice tour. He says it came about after speaking with Pete Dack a few years back, who was strongly in favour of bringing a skating show to Peterborough--and from there a show was eventually formed. Elvis praised the staff of the Memorial Centre, calling it "one stop shopping"-- everything from promoting the show to the media connections and how the set-up are all handled so smoothly, making the event go off without a hitch. "Peterborough is a very supportive town," he says, adding "that support makes it easier for events to come here." "The new judging system that was put in place in 2005 has really hurt audience fan base, and it's not audience friendly," he says. Born in Newmarket and raised in Richmond Hill, Elvis has trained in Newmarket, Toronto, and Barrie. When asked how his martial arts influenced his competitions, he explains the off ice training and mental training play a vital role in what he does. When he first performed Dragon: The Bruce Lee Story in 1994, it was the first step to putting martial arts on the ice--something that was way ahead of its time. But that's who he is, experimenting with new things--and this enabled him to combine his passions. Elvis resides in Mexico with his wife Gladys and he still takes to the ice four or five times a week at his local arena. He will be making an appearance coming up in April in Marmora to help support their local skating club. To find out what else he's up to, give him a follow on Twitter. We'd also like to wish him a happy early birthday as he will be celebrating his 40th birthday next month and he'll be spending it with his wife as they take a roadtrip to Puerto Vallarta, which is only a four hour drive from their home. 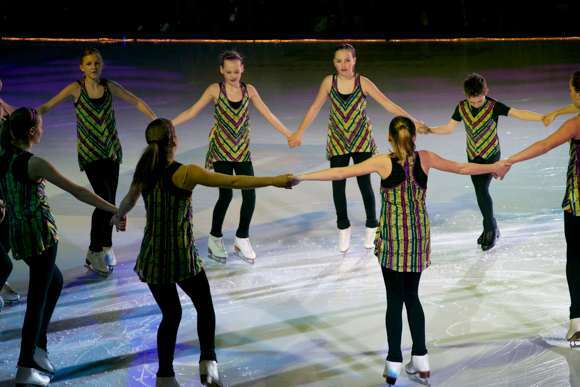 Rock the Ice IV has already been announced for next year, and it will take place on February 17, 2013.